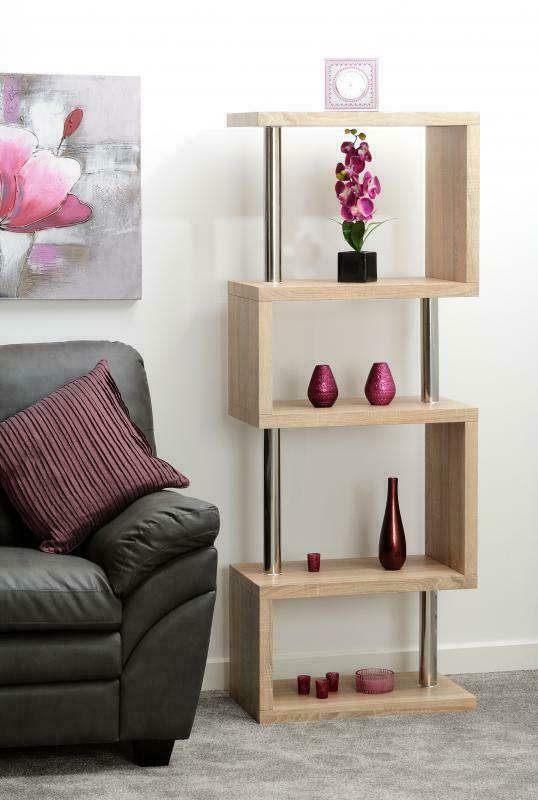 This Charm contemporary and stylish modern designed 5 shelf display unit fits perfectly in any room. High gloss finish with chrome accents in either White or Black. Adds style to your home. Although simple in design will feel new on any and all occasions. 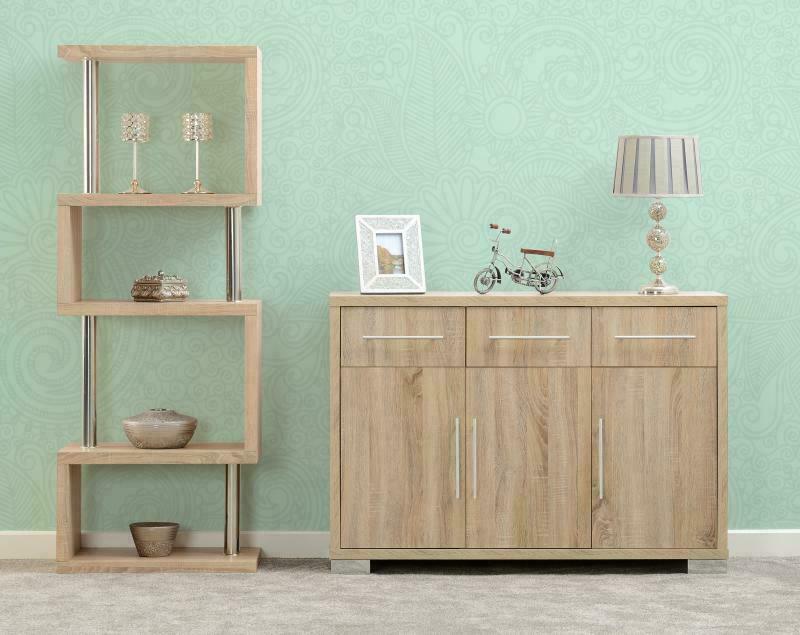 The Charm 5 shelf display unit is an attractive and yet solid & Sturdy unit which is set in a really lovely light oak effect and chrome finish. The Charm range is sure to provide a serene and inviting focal point to your room with its sturdy craftsmanship which is a fantastic addition to any living space. The clean, modern style will provide you with a handy place for you to put your photo frames and ornaments. Plus, chrome accents is a great finishing touch to this unit that creates a look that is at home in both modern and period surroundings. This collection is made of hardened MDF and then covered in a high quality thick gloss plastic finish. The range is delivered flat packed so self-assembly is required. Easy to follow step by step instructions are included but you will need to provide your own tools.